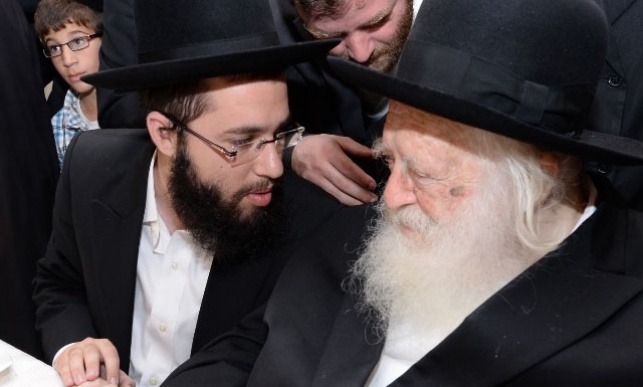 As he continues efforts to bring all of the chareidim under one umbrella ahead of Knesset elections on April 9, 2019, Yanki Kanievsky, a grandson of HaGaon HaRav Chaim Kanievsky Shlita, met with R’ Eyal Moshiach, known as the ‘Nagid HaShalom’. According to the Kikar Shabbos News report, during the meeting the success of the deal signed between Degel Hatorah and Agudas Yisrael was mentioned, along with ongoing efforts to bring Shas onboard. Moshiach would like to see this list being all inclusive, which will not occur without the backing of HaGaon HaRav Shalom Cohen, head of the Shas Moetzas Gedolei Torah. During the discussion with representatives of Chabad who arrived at R’ Eyal Moshiach’s home, hoping this list will be unprecedented in scope, including Chabad as well. politics sure make for strange bedfellows. lubavitch joining with anything associated with rabbi schach and diatribes against the 7th Rebbe ztl is downright startling. The Lubavitcher Rebbe called for a united religious list to include the entire religious community, including the dati leumi. First of all, let all those involved shun interfaith and also shun calling any particular person “Moshiach” ! Their REAL problem is that they have lost the confidence of the zibur. (viz what happened in Beit Shmesh). That is what should really worry them!